Quirindi will now be able to get a new water dispensing station. Liverpool Plains Shire Council has received $105,458 under the Coalition Government's Drought Communities Program to install a new water point in Quirindi for distribution around the district. “Projects like this and others we’re funding around the shire, such as the new helipad at the Liverpool Plains Emergency Services Precinct and public facilities upgrades at surrounding villages, are all helping to recharge the economies of our drought towns,” New England MP Barnaby Joyce said. Mayor of Liverpool Plains Shire Council, Councillor Andrew Hope, said the community is very pleased to receive the funding that will be an invaluable asset, particularly during periods such as the current severe drought, to facilitate supply of water to people who desperately need replenishment whether on a small, domestic scale or via water cart. He said this project meshes well with other initiatives Council is progressing, designed to enhance water security now and importantly for future generations. 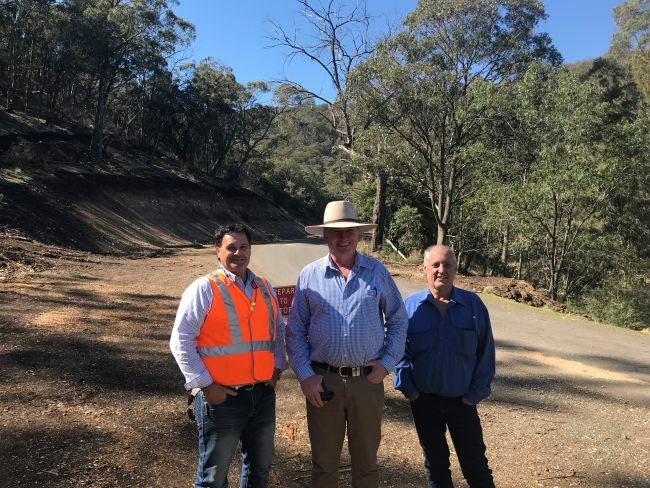 “The Drought Communities Funding Program is providing much needed and appreciated economic stimulus to our communities during this drought crisis,” Mayor Andrew Hope said. “Everyone in a rural Shire such as Liverpool Plains, be they on the land, running a business or living in town, is impacted by such an event and the great thing about this Program is it spreads benefit across all these sectors,"
“The people of the LPS are grateful for the support that Mr Joyce has given us throughout the drought crisis. Thank you, Barnaby and the Government, for listening to our community’s concerns, aspirations and needs during these trying times," he said.